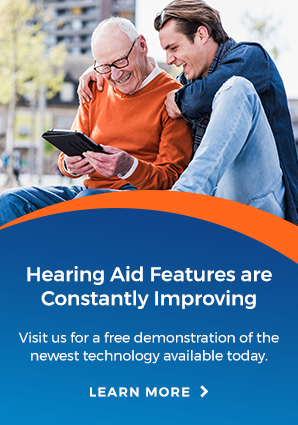 At Arnold Hearing Centres in Kitchener-Waterloo, Guelph, Simcoe and Mount Forest, we not only specialize in ways to help you hear better, but we also offer unique, custom fit solutions for ear protection. Hearing loss can be a direct result of an occupation, a recreational activity or simply exposure to loud sounds. As each ear is unique, we offer a custom fit solution for the right fit. Custom fit earplugs provide outstanding noise protection for a variety of recreational and occupational environments. Swim plugs are recommended for those that suffer from swimmer’s ear or have ear tubes. The custom fit of the swim plugs helps prevent water from entering the ear canal. For light sleepers, or those that can’t stand snoring, custom sleep plugs may be the answer. The sleep plug is designed to limit most noise but allow important sounds (such as the telephone and fire alarm) still to be heard. Musician’s need to hear what’s going on around them, but too much and they can damage their hearing. Custom musician’s plugs allow us to insert filters, so the ear can hear what it needs to, without damaging it. Working in a noisy environment over time can put you at risk for early hearing loss. Custom noise plugs are meant to stay comfortably in the ear for many hours, while blocking out those harmful noises. SoundGear™ is a complete line of 100% digital products that both enhance environmental awareness while also instantly and automatically protecting your ears from loud noises like gun blasts, engines or industrial equipment and tools. Available in three styles, SoundGear represents the latest advancements in electronic hearing protection. Visit SoundGear.com for more information. Arnold Hearing Centres also offers many options for personal audio products. Get control of your stage mix and help you block out unwanted noise with custom-fit in-ear monitors created especially for musicians. From streaming music to gaming devices, computers and more, experience the ultimate in listening enjoyment with custom headphones and personal audio, made precisely for your ears. We offer a variety of custom earmolds and in-ear monitors to provide the clearest communication for a number of professional uses — including newscasters, pilots, doctors, race car drivers and more.